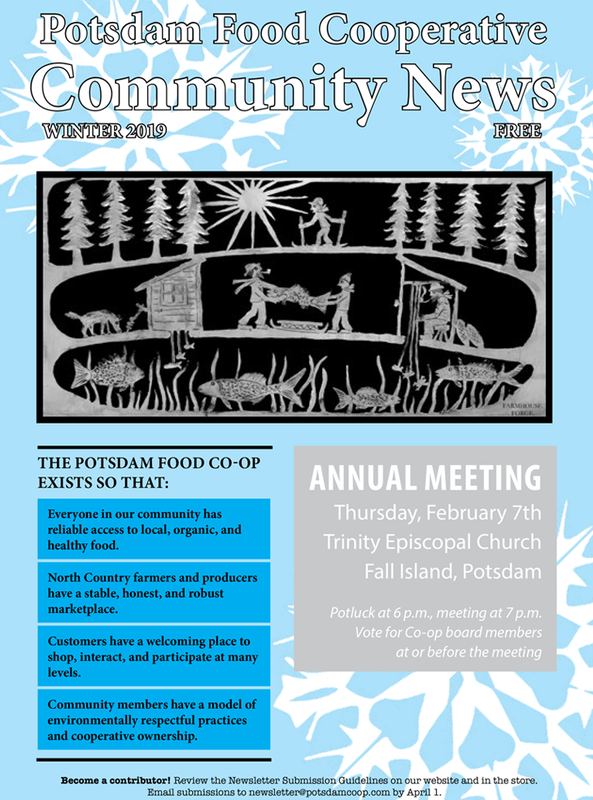 Co-op Community News is the official newsletter of the Potsdam Consumer Cooperative, Inc. in Potsdam, NY. It is published seasonally and serves as an open forum for the exchange of information and ideas between Co-op members. Articles appearing in this newsletter may be reprinted in other cooperative newsletters provided credit is given to Potsdam Co-op Community News and to the author of the article. We welcome submissions and comments from members and non-members. Submissions can be submitted via e-mail to newsletter@potsdamcoop.com. Sign up here to receive the newsletter via email!